This is it, the third Rider that will grace the series next month is now revealed in the newest Super Terebi-Kun's Kamen Rider Ghost special issue. 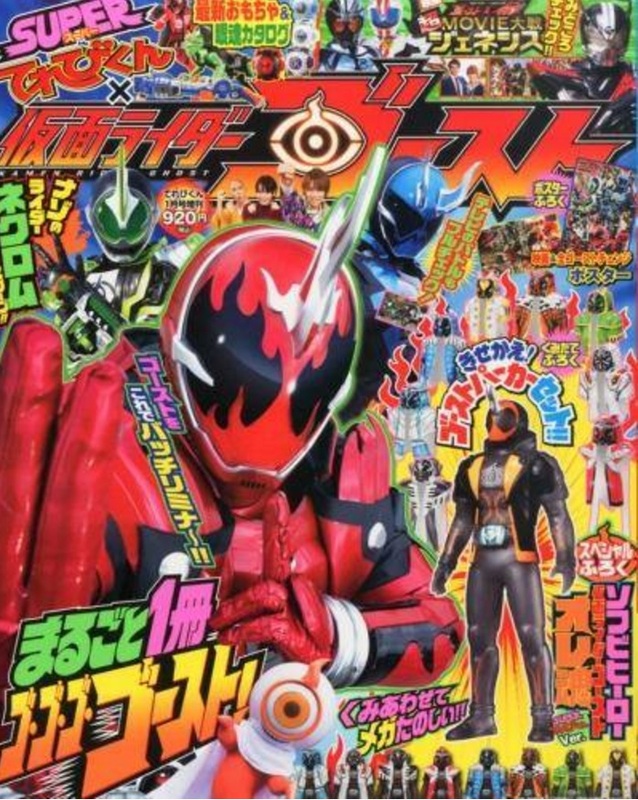 "Born from the technology of the Ghost Driver and the Eyecons, this newest Rider transforms using the Megauruoder and the Necrom Eyecon. His existence is shrouded in mystery." Also, it is speculated that he will be working from the Ganma's side and that he is Alan's creation. What will the future hold for our 2 heroes? Please tell that to Zanki/Todoroki and TheBee. Second Anon is NOT referring to not liking his changer becuase it's wrist-mounted. He hates it becuase it's big,bulky and square. theBee's changer was streamlined and had a spear at the end for stabbing. And The guitar Oni Riders's changer was small size of a wrist watch,so those were okay,too. 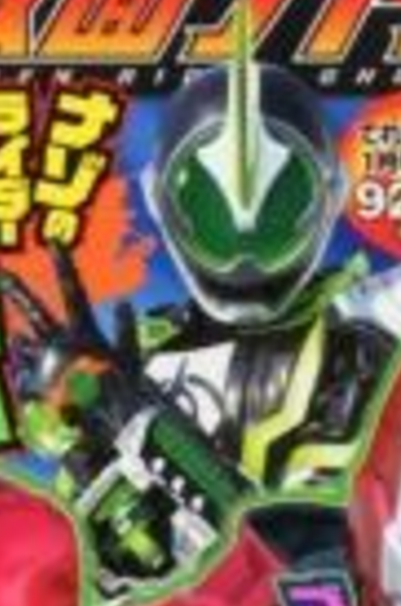 But Necroms's changer is too bulky and wierd to be placed on his arm. Necrom's have abit of resemblance of a scuba diver for some reason. Necrom have abit of resemblance of a scuba diver for some reason. It based on tears (tears = water) duh. Btw KR 555 wants their design back.